I should have written this post months ago. But the problem is that I didn’t know I needed to until Thursday of last week. Thursday, it all hit me. working out. No one has to see the beer and chips I ate for dinner. No one has to see that I only sleep a few hours every night. I get to put on a show and no one knows any different. I’m not sure how I went so long going through the actions of giving health and wellness advice without taking it myself. But last week, it really all came to a point. 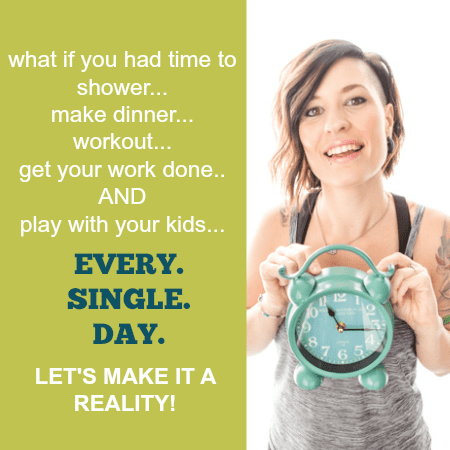 I had just finished up writing an e-book that covers my secrets for staying motivated enough to stay healthy and fit (which is free and you are welcome to sign up to receive at the end of this post if you’d like), and I realized that I was trying to promote something that I don’t even follow at all. Sure, it’s normal to have mini bumps in the road, but this has been going on for months, and that is inexcusable. Absolutely ridiculous. So I’m calling myself out in front of you all. Eating Healthy: I haven’t been making the best choices with the foods I’m eating. The quality of food I’ve eaten. The portion sizes I’m eating. The lack of listening to my body for its true hunger signals. I have just thrown that all out the window for some reason. I think I’ve gotten way too comfortable with the idea that I can eat whatever I want to eat and have just run with it. I have to remember that while yes, I’m allowed to eat whatever I want, all things must be in moderation. If I want to truly be happy with myself, I must make decisions to eat mostly healthy foods that are going to help my body as opposed to processed junk that will do nothing for me. Body Love: I’m not nearly as comfortable with my body as I let other people believe. Sure, I am comfortable enough to go to the pool in a bikini. Yes, I have stopped a lot of the negative self-talk. BUT, do I love my body? Do I really appreciate it? Absolutely not. I used to be there, but I’m just not anymore. I think this came from the fact that I am preaching that we need to love our bodies at every size. So I stopped caring so much about my size and my shape and kind of just let things go. So yes, I can be okay with myself a little bit bigger than I’m used to, but in the long run, am I happy that I’m less fit? Not at all. Exercise/Yoga: There used to be a time when I was working out 6 days a week. That was just part of my life, and I was in great shape. For the past few months, I have become way too lax on my workout schedule. I haven’t been prioritizing it enough. My social life got in the way of my health goals. I told myself I was okay with my body no matter what, so exercise just fell to the side. And yoga. I claim to love yoga, which really I do. But if I love it so much, why haven’t I practiced it in about 7 months? What a joke! I told myself I’d never get to the point where I was having to start over my practice from the very beginning because those first few months are pretty brutal. But that’s where I’m at. The very beginning. I miss the clearing of my mind I received from my yoga practice. I miss the lack of back and shoulder pain I got while practicing yoga. Sleep: I am the worst at getting the right amount of sleep. I get to bed around 11-12 and am up by 4-5. Definitely not enough sleep for this mama, yet I know that it’s what I need to function at my best. Goals: I don’t have any. At all. One of the biggest things I tell people to do when trying to get healthy is to have a goal. Set something that you want to work toward. So why do I tell people this if I don’t even have one myself? I don’t really have a desire to lose weight, so I guess I just have a hard time coming up with a goal that makes sense for me. I want my life to be a direct testimony of the things that I teach here on the blog. I want to be able to 100% truthful when I say something works because I’ve tried it. I want you to trust me as a valid source for helping you to reach your health and wellness goals, and you can’t do that if I can’t trust myself. When I write an e-book or a blog post, I want you to know that I follow each and every thing in it. And from here on out, you better believe that will be happening! What I’m doing about it. So when this all hit me last week, I thought to myself, “Ok, we’ll start Monday. On Monday, life changes.” But no. Monday was too late. Change needed to happen right away. There was no reason why I had to wait days to get started. So that day, Thursday, I turned over a new leaf. That day, I got involved in my Facebook health group again, I worked out, and I ate a healthy dinner that I felt awesome about. So I’m going to put it out there. This is what my new life is going to look like. 1. Following my own Advice. Like I said before – everything I publish here on the blog will be truth. I will follow it. You can trust that I will be taking all of my own advice. I need my advice more than anything right now. I plan to go through and read old posts and be sure that I am living the healthy lifestyle that I wish for other people. 2. Having an accountability partner. This is something that’s super important to me, so I’ve started a daily accountability post every day in my Get Healthy. Get Happy. Facebook Group (feel free to join in). Every day, we post our goals, and at the end of the day, we follow up with how we did. 3. Setting Goals. For the first time in a LONG time, I have set myself some health goals that I will be working toward. And when does it all start?? YESTERDAY! Ok, so really it was 5 days ago. I refused to wait for the next Monday to get started. So that’s that. My secret’s officially out, and I hope you don’t think poorly of me. I know everyone has their hiccups, and that’s one thing. But to have a health blog and not follow half the advice I give? That’s just uncalled for. I’m tired of feeling like a complete fraud. So here’s to getting back to my roots. I am so excited to see where this part of my journey takes me. I feel like I’m going to get even healthier than I was before. My determination is through the roof, and I can’t wait to share my successes with you this time around! I hope you forgive me and understand that this is all part of the journey! You are awesome girl, even when you experiencing a little bump in the road. I love knowing that I’m not the only one who has those! 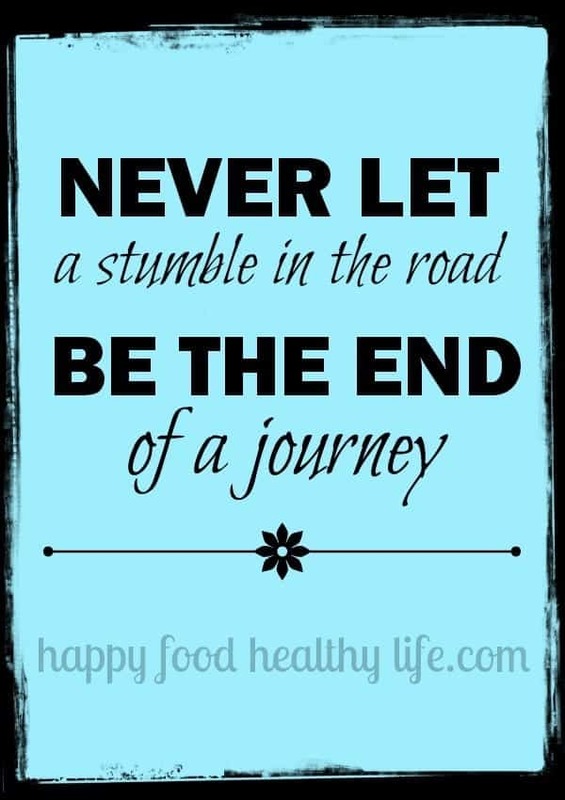 you are definitely not alone in experiencing bumps in the road. i have many all the time, and it is not easy to avoid them at all. But we just keep our heads up and keep moving on right?